Stylish, sophisticated, and a stunning sight to behold! 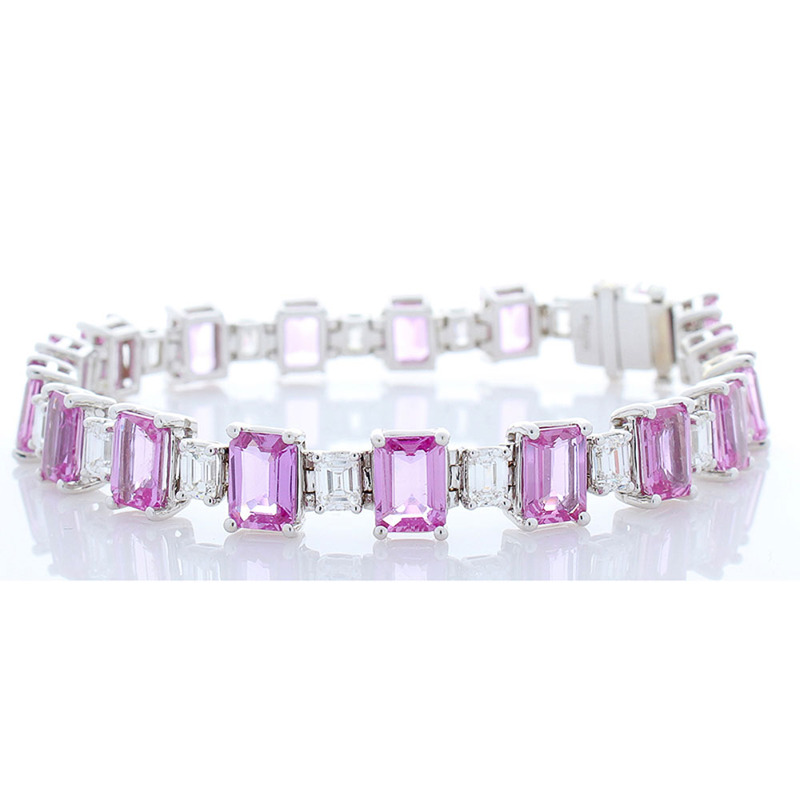 This gorgeous bracelet boasts an incredible 20.47 carat total weight of natural pink sapphires! The color of these perfectly calibrated sapphires is rose-pink. It's transparency and clarity is superb. The layout of emerald cut pink sapphires are contrasted with 4.44 carat total of white emerald cut diamonds. The clarity grade on the diamonds are VVS-VS1. There are so many stylish details that have been included to ensure that this bracelet looks striking from every angle! The piece is handcrafted of 18 Karat white gold. You�ll love and enjoy this striking pink sapphire and diamond often!